This beautiful Jasmine Vine differs from its counterpart by having larger, dull-green leaves throughout the vine and brings a very natural decorative look. 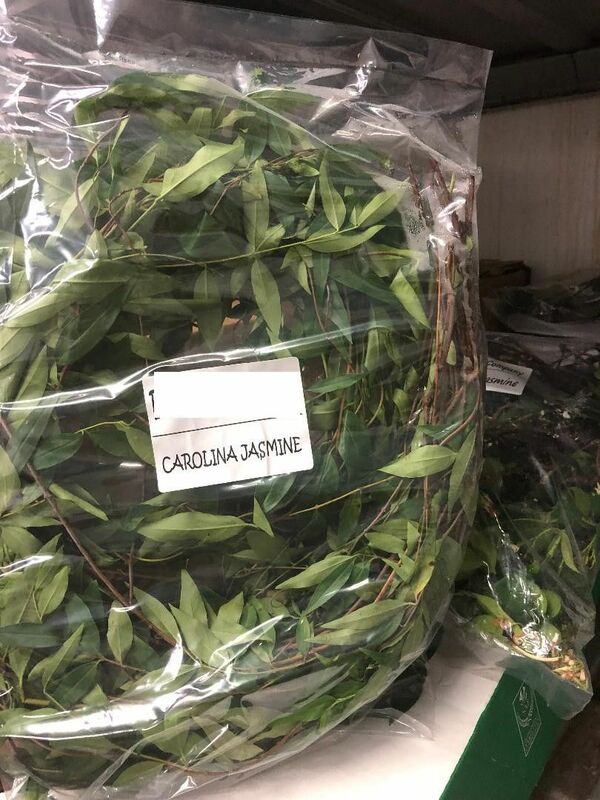 Our Carolina Jasmine is sold per bag. Each bag consists of 25' of the beautiful vine in various lengths. -> All greenery is sold as a bunch with various stems depending on the type of foliage. -> We recommend a delivery no sooner than two days prior to use. We ship via FedEx priority overnight. Deliveries are made Tuesday - Friday. -> Leaf color and size can vary throughout the year. -> When ordering place the total amount needed in the Qty Box and update the cart for total. -> There is a "Comment and Preferred Delivery" section during checkout where you can enter specific instructions for your order, such as custom lengths of garlands and your desired delivery date. -> To care for the product please open the box upon arrival and allow the moisture to air out. Keep stored in a cool and dry environment.